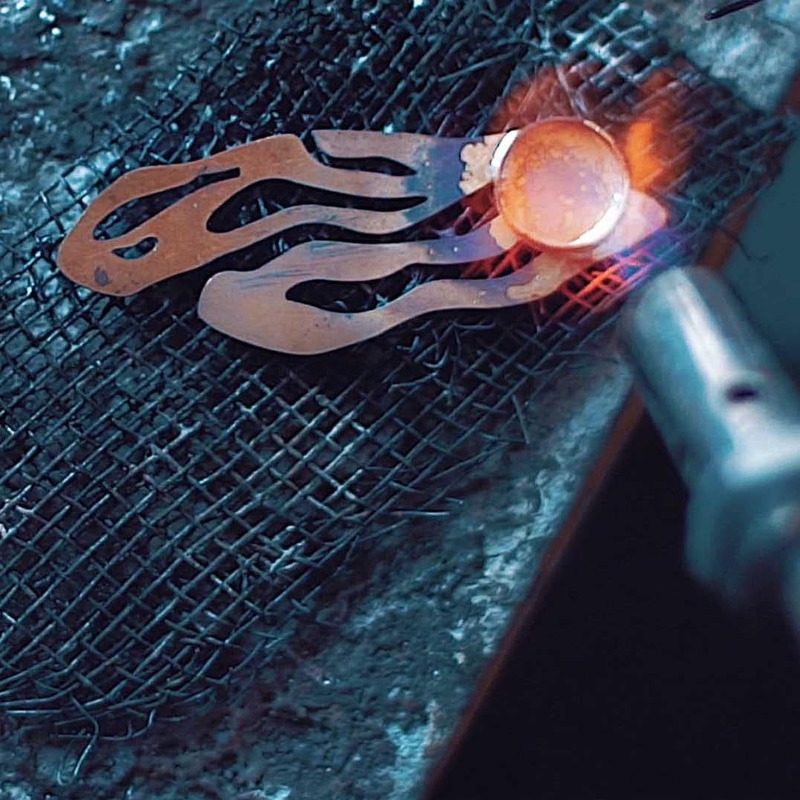 If you cannot decide what she would like best, give her the perfect gift - Jude Benhalim Gift Card and let her choose the perfect piece that fits her style. 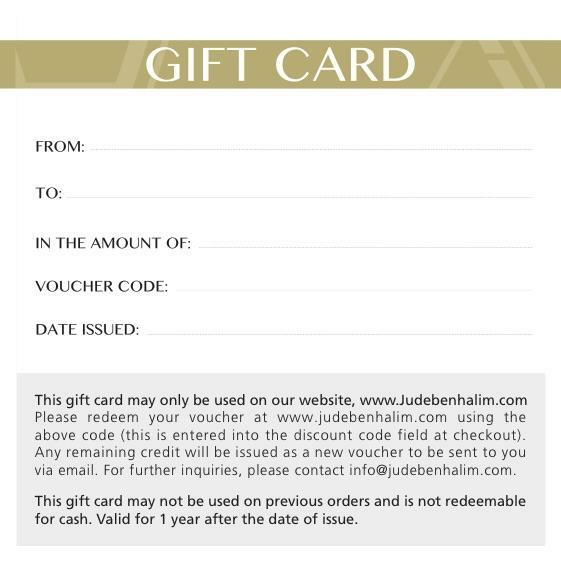 Our Gift Card is shipped directly to you or to your loved one and can only be used on our website, www.Judebenhalim.com Please redeem your voucher at www.judebenhalim.com using your voucher code (this is entered into the discount code field at checkout). Any remaining credit will be issued as a new voucher to be sent to you via email. For further inquiries, please contact shop@judebenhalim.com. This gift card may not be used on previous orders and is not redeemable for cash. Valid for 1 year after the date of issue. © 2019 JUDE BENHALIM, All rights reserved.